Thanks to the holistic approach to finding a state-of-the-art helpdesk ticket system, Renesas has been able to equip the entire IT with a new ITIL-compliant structure, relieve administrators and provide users with greater co-ordination rights in the design of their IT workstations. The project even convinced the company center in Tokyo, so that there was a test position there. 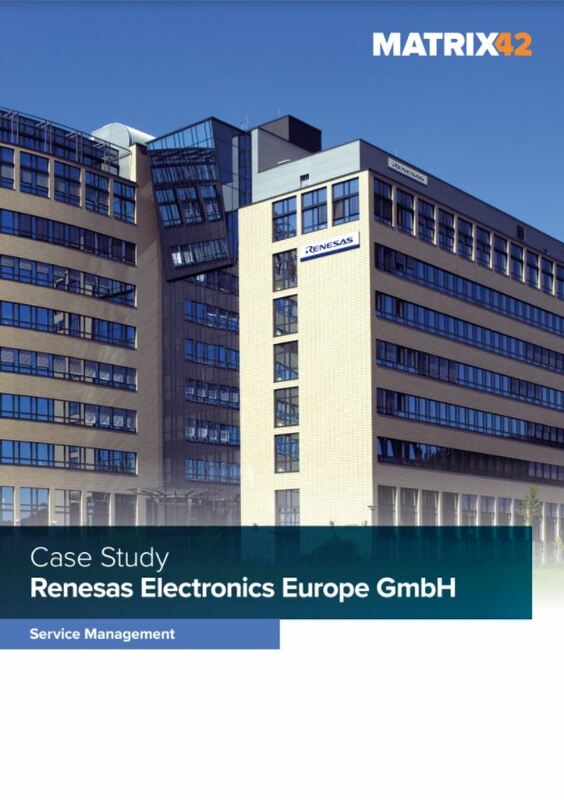 Renesas Electronics needed a new helpdesk solution because the company had to disconnect from its existing Notes database. The time frame for the introduction of a new solution was limited to six months due to this framework. A helpdesk system was sought which not only has a high level of automation but also interfaces with other databases as standard. Matrix42 Corporate, Renesas provides a highly-automated service desk, including a modern service portal, automated "break-and-fix" scenarios, and powerful incident and problem management. In addition, the service desk can be seamlessly linked to functions of asset management, software provisioning and other systems. This holistic management approach ensures ITIL compliance and provides IT space for other IT tasks. Renesas Electronics is one of the world's leading microchip providers with more than 19,000 employees and just under $ 6 billion in sales. The company was founded in 2010 by the merger of the Chip divisions of Hitachi, Mitsubishi and NEC. As a Japanese company with European headquarters and development in Düsseldorf, it specializes in automotive electronics and industrial applications. The chip and software products of the company enable the realization of innovative ideas and thus make megatrends like the internet of things, industry 4.0 and autonomous driving a reality.